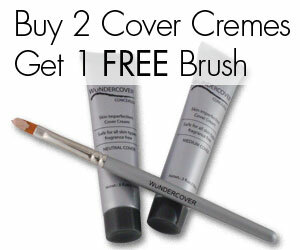 Use the WunderSmoothie Blender and dab a small amount of WunderFinish Powder on it. Gently dab the area that you have concealed. Do not rub. 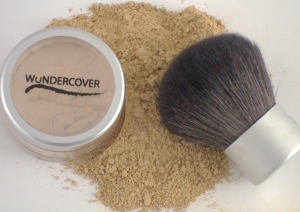 The semi-translucent powder will set the Wundercover and keep it in place.